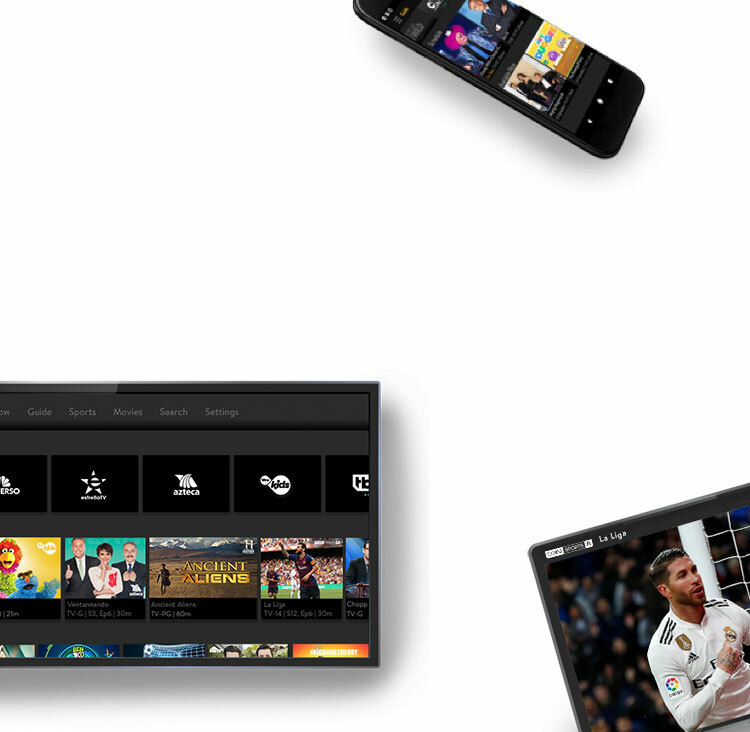 Sling TV - Watch Spanish TV 7 Days Free! Personalize your channel lineup and save. No credit check. No long-term contracts. No hidden fees. Watch the latest news, gossip, entertainment, and more of exclusive Mexican channels like AZ Corazón, Milenio Televisión, Canal Once, and Mexicanal. Get your favorite channels from México. Get your favorite channels from Argentina, Colombia, Venezuela, Boivia, and Ecuador and watch the Superliga Argentina on TyC Sports, the latest news on NTN24, Liga Águila on Nuestra Tele, and much more. With channels like Centroamérica TV, Tele El Salvador and CB24 enjoy the latest Centro-American news, entertainment shows, sports, and more. Caribe has it all: entertainment, series, comedy, news and more from Cuba, Puerto Rico, and the Dominican Republic. Stay informed with the latest news on TVE, the greatest entertainment shows on Antena 3, the best movies on A3 CINE, and more. When you subscribe and prepay three months of Sling TV. Get a RCA HDTV Indoor Antenna and AirTV Player Bundle when you subscribe and prepay six months of Sling TV. One per customer and cannot be combined. Must provide email address and credit card. Must pre-pay for six month(s) of service. New customers only. Limit one device per Sling TV account. Not available with free trial. Not available in Puerto Rico. After six month(s), your credit card will be charged monthly for applicable subscription until you cancel your service.